Choosing to have a Home Inspection, and selecting your Home Inspector, are important decisions when it comes to making the most of your home investment. Why Hire Alton Inspection For Your Home Inspection? My reports are easy to understand with color photos and an easy to read summary. The report is completed and delivered over the Internet to anywhere in the world within 24 hours. If you are busy, I have flexible scheduling and I am available on Saturdays. I use HomeGauge inspection software to generate a professional report. Alton Inspection conducts inspections for buyers, sellers, home check-ups for maintenance and radon. I have over twenty-five years residential construction and construction management experience. Member in good standing Greater Syracuse Association of Realtors, the American Society of Home Inspectors (ASHI), earning the status as an ASHI CERTIFIED HOME INSPECTOR. Graduate of American Home Inspectors Training (AHIT). Construction experience in remodeling, building Townhouses, multi-family and single family residences. As a residential home-builder, I have examined and inspected hundreds of homes for warranty and pre-closing review. My background has enabled me to be proficient in identifying problems and safety issues throughout the home. Put my experience, skills and attention to detail to work for you. You deserve a detailed and easy to comprehend report to help you with your real estate investment decisions. 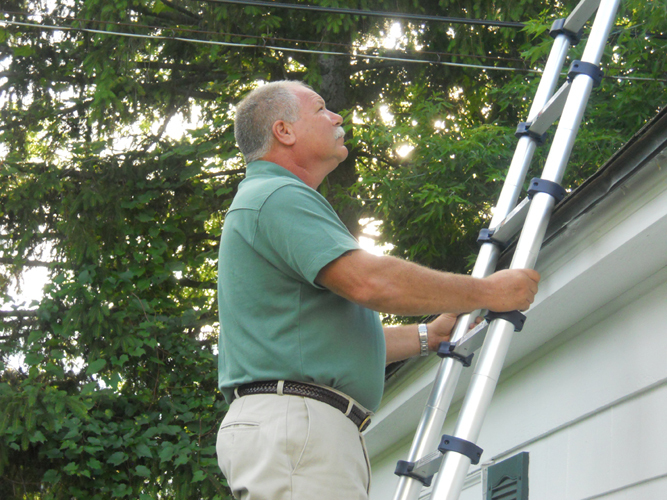 All of my inspections are performed in accordance with New York State licensing and the American Society of Home Inspectors (ASHI) standards. Review one of our sample reports from the “Sample Reports” on the left. When you receive your report, you can feel confident that I was thorough and had your best interest in mind. For personalized service, please call me now to schedule an appointment.